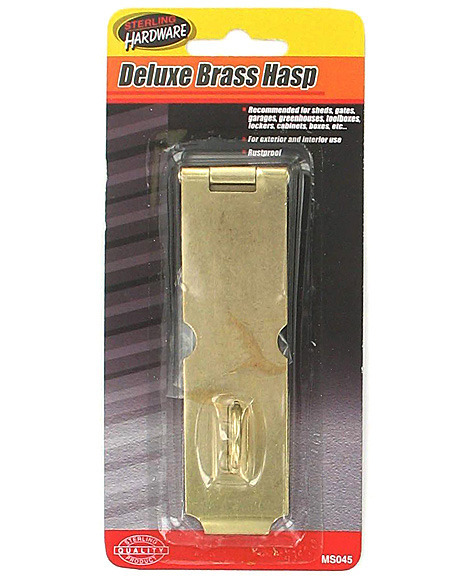 Perfect for doors and gates, this Gold Tone Iron Hasp is recommended for sheds, gates, garages, greenhouses, toolboxes, lockers, cabinets and more. Ideal for both exterior and interior use. 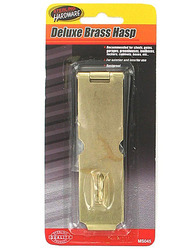 Measures approximately 4.5" x approximately 1.5". Comes packaged in a blister pack.